Beacon Hill Partners is excited to host another exciting Startup Stir program. 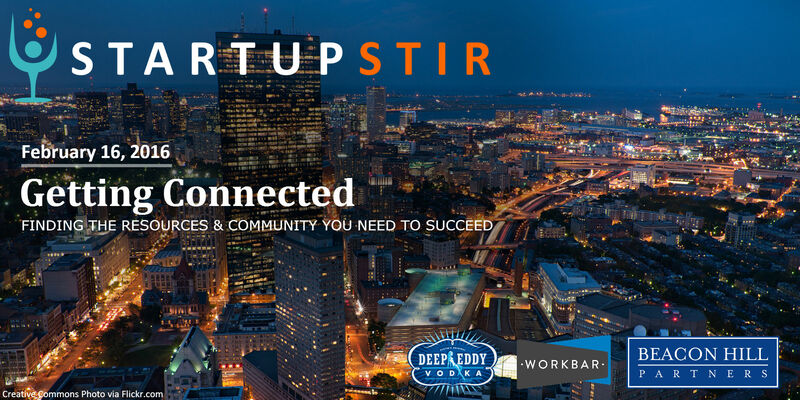 On February 16th, we’re chatting with some of Boston’s most influential startup leaders and community connectors to talk about how you can gain access to the tools, resources and connections you need to succeed. From 6:30 to 7, we’ll enjoy complimentary beverages from Deep Eddy Vodka as we hob nob with founders, investors and academics. From 7 to 8, we’ll sit down at Workbar in Central Square to get a dispatch from the front line of the Boston innovation community from the movers and shakers who are making it happen.